A huge collection of businessman vector images. This Character is made of vector shapes, so you can easily modify the colors and shapes of the characters. 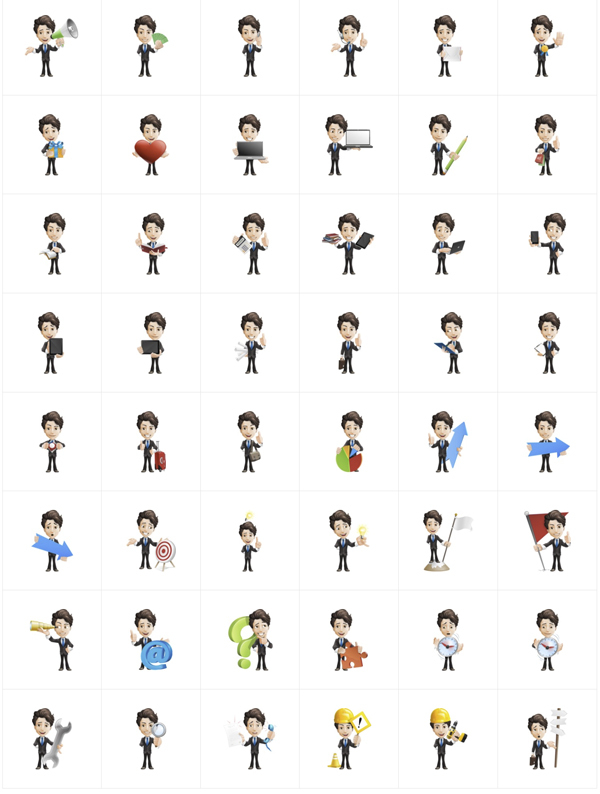 Our Businessman is available in more than 100 poses. All of them are available in both vector files and transparent PNGs.